Welcome to the Polar Maidens' GoFundMe page. It would be wonderful to have your support for the incredible Polar Maidens expedition to the South Pole. If you could give even just £5 you will become one of our much appreciated 'Polar Angels'! The Polar Maidens are a team of women, each born in a different decade, who are about to embark on a gruelling expedition across Antarctica to the South Pole. They come from England, Ireland and India - the youngest is 24 and the eldest is in her seventies! 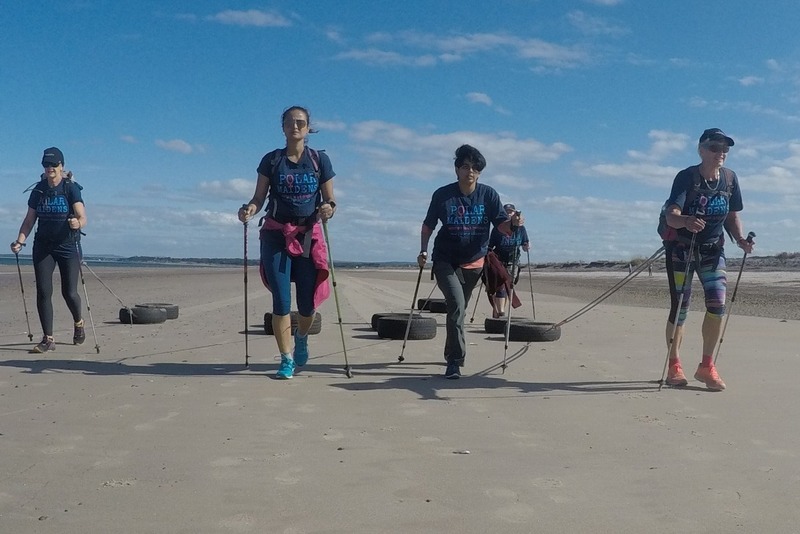 After some group training in Norway, Ireland and Scotland, they are now training individually - including hauling tyres to replicate pulling loaded pulks (sleds). If you are interested in corporate sponsorship or becoming an 'Expedition Angel' (£1500-£2500 sponsorship) please contact peter@polar-maidens.net. 'Expedition Angel's' will receive a keynote talk from a Polar Maiden (for their business, school, charity or other organisation) in return for their support. Thank you! 1 - SCIENTIFIC: Find out how women of different ages react to the same extreme conditions and recover physically and emotionally. It’s been done with men and with athletes – but not a team of more ‘ordinary’ women. The Polar Maidens will be conducting simple medical tests and undertaking psychological assessments. All under the guidance of the Professor of Extreme Medicine, Chris Imray, from Warwick Medical School. 2 - PERSONAL: Undertake a personal mission of completing the journey of renowned explorer, Tom Crean, from Scott’s 1910 expedition. He is the grandfather to one of the Polar Maidens. 3 - PHILANTHROPIC: Raise funds for the work of the INSPIRATIONELLE FOUNDATION - see more below. 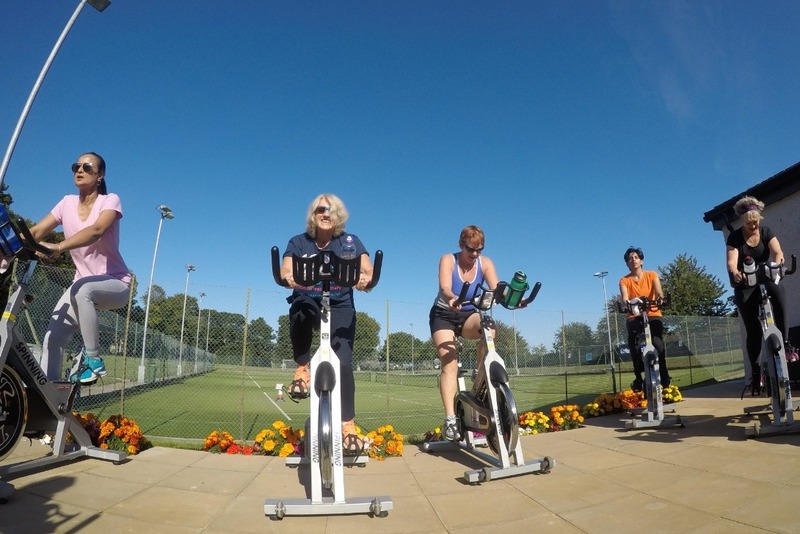 The team has been put together by Jan Meek who will celebrate her 74th birthday in Antarctica. She hopes to get another Guinness World Record for this journey too. Find out more about Jan and each of the intrepid Polar Maidens. Antarctica is the coldest, highest and driest continent on earth. It is 58 times the size of the UK and 98% is covered by an ice sheet that averages at least 1 mile thick. The Polar Maidens journey is incredibly challenging. The expedition will also be raising funds for the INSPIRATIONELLE FOUNDATION. The foundation aims to support people of all ages, but particularly women and children wanting to do something extraordinary. The Foundation will provide grants to individuals and groups so they can undertake unusual, demanding and challenging projects. The INSPIRATIONELLE FOUNDATION will also encourage and help those who have done something extraordinary to take the time to speak to schools, charities and other non-commercial organisations. Our aim is to inspire the audience to ask “why not?” when a challenge arises, as well as provide entertaining stories of leadership, teamwork and discovery. 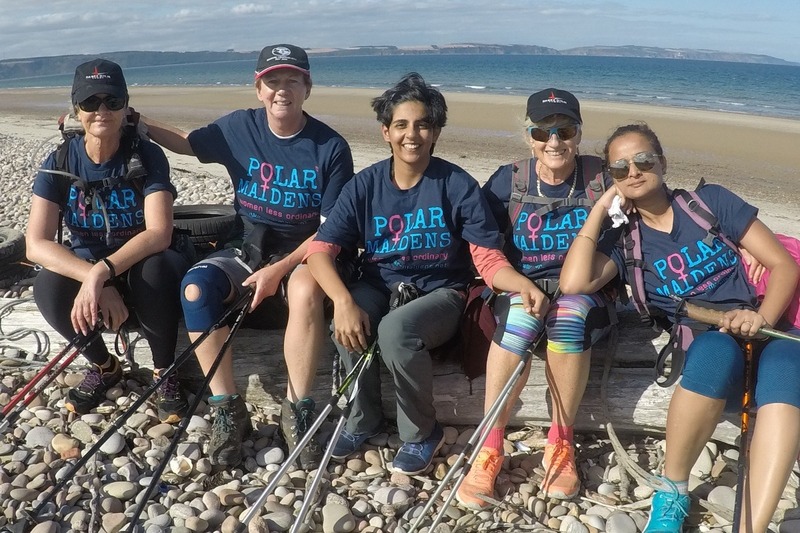 The Polar Maidens journey will also be raising money for the individual Polar Maidens' charities - including Breast Cancer Haven. (If you are interested in corporate sponsorship please contact us separately via peter@polar-maidens.net). "Please help dear friends, we are nearly there with raising the funds we need from corporate sponsorship, but we definitely don't have enough. It would be wonderful if you could support us with the final steps to ensure we make it to the South Pole start line. Your contribution of any amount will be hugely appreciated. 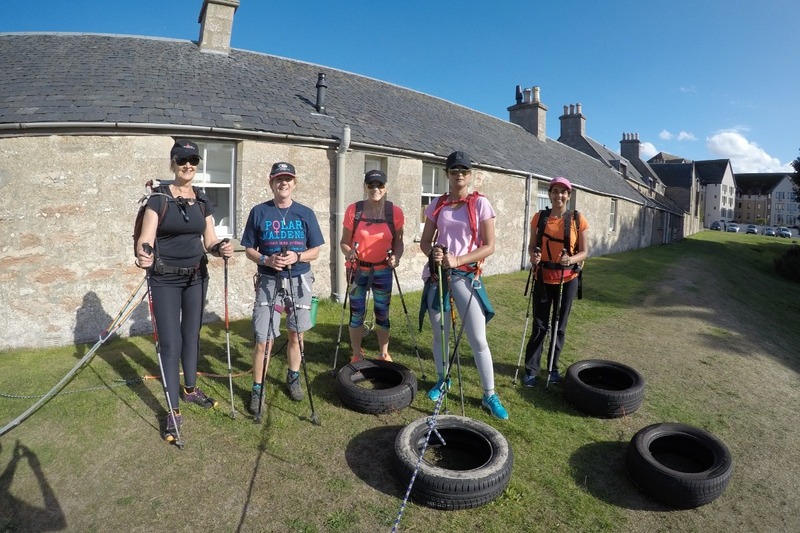 You will become part of this incredible expedition, as well as enabling the INSPIRATIONELLE FOUNDATION to achieve its goals of supporting people to take on extraordinary challenges and share their story to inspire others." Thank you for your support from all of us on the Polar Maidens team! 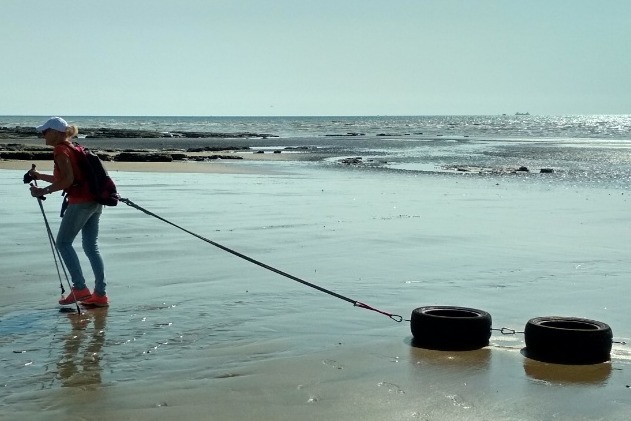 Your sponsorship really keeps us motivated to keep hauling our tyres as part of our daily training. All 5 of us are at it in the UK, Ireland and India!